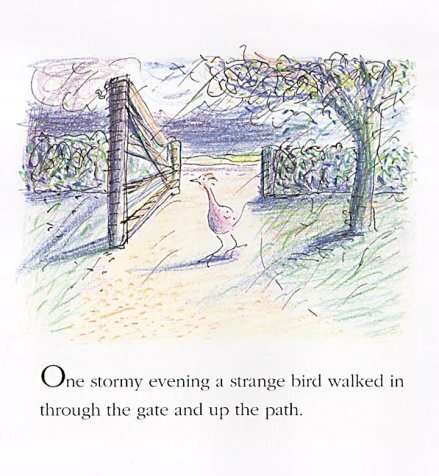 Jamie and his grandfather take in and care for a lanky, featherless bird, which arrives on their doorstep one stormy night. Thomas proves to be a bit of a handful in the house so grandfather builds him one of his own and when Jamie next comes to visit, a fully feathered and transformed Thomas shows his appreciation in an unsuspected way. A gentle tale told mostly in dialogue with two or three ink-outlined colour pencil illustrations per double spread, rendered in a scribbly, freehand style.